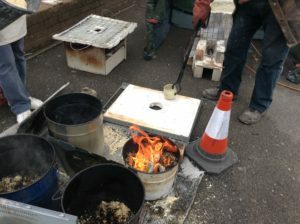 July 2nd, We took part in a Raku day for West Forest Potters. 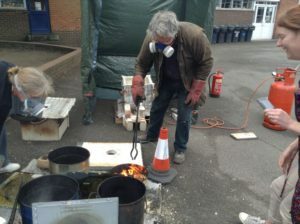 Richard and I on Raku, Martin on Raku and Wendy and Debbie were smoke firing. 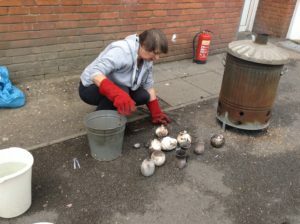 In spite of some serious downpours, everyone had a good time and there were some interesting results. This entry was posted in Uncategorized on July 3, 2016 by Carol.